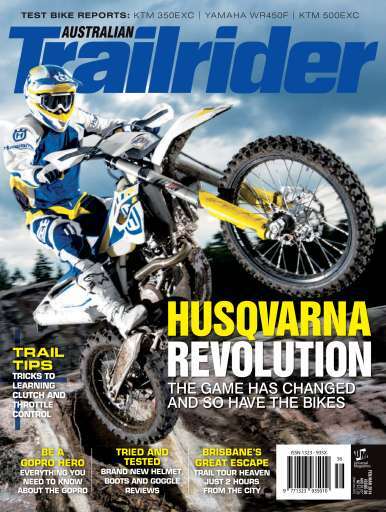 TRAILRIDER #56 hits the trails aboard the brand new 2014 Husqvarna enduro range. The bikes are all-new and set to make a massive impact on the trails the world over. 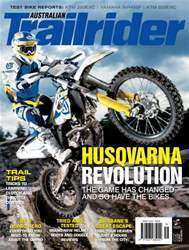 We also report in with the latest on our test fleet: KTM 350EXC, Yamaha WR450F, KTM 500EXC. There's a massive guide with everything you need to know about using a GoPro Hero camera plus we show you some secret tricks to master your clutch and throttle control. There's also a great feature on some great trail riding just two hours from Brisbane CBD.